Regis Philbin’s farewell is shaping up as the biggest rating in the 20-year history of “Live,” according to preliminary ratings. Final numbers will not be available until tomorrow, but the first indications are that the much-ballyhooed show tripled its traditional audience. 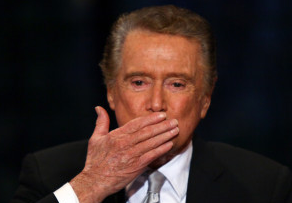 Preliminary ratings from New York City and Philadelphia, for instance, showed that nearly one-third of all TV viewers at that hour were tuned into Regis. If those trends hold, Regis’ final audience will be more than 10 million viewers — easily a record for the show. An average ratings day for “Live” is about 3.5 million viewers.